2 What is the Best Tinnitus Therapy? Tinnitus Retraining Therapy is a kind of a new habituation procedure designed to manage the tinnitus or ringing ears. In this relatively new research, it indicated 80 percent of success rate. This therapy is trying to prove that a person can ignore any sound just like he can ignore a sound of the refrigerator fan which he can hear of everyday. The course may take effect within the first 18 month of the therapy. Patients must be counselled well before undergoing the treatment, explaining to them how joining the tinnitus retraining treatment and sound enrichment could stop the negative reaction of ringing ears, gradually ending their awareness of it. To provide a background noise level, a noise generator would be used in the Tinnitus Retraining Therapy. The aim of this therapy is to give hope to the people with ringing ears or Tinnitus. Time is required in this therapy, as well as the effort of the patient in undergoing the whole course. To succeed in this treatment, an effort to know about tinnitus and the whole course of Tinnitus Retraining Therapy must be understood by the one who wishes to take this therapy. It would benefit him to have a basic knowledge that through the subconscious auditory neuronal networks, auditory cortex perceives sound. To give us a better insight of the concept of Tinnitus Retraining Therapy, consider this example. A person living in a rural area, hearing noises every day, may perceived the sound in his surrounding as just a noise, and his brain won’t give a negative reaction to the sound as compared to the person living in an urban area, who is not used to hearing noises everyday would really be bothered if he is to transfer to the rural area. This function in the brain is called the Auditory Habituation, which is used in the Tinnitus Retraining Therapy. So, what Tinnitus Retraining Therapy does is that it retrains the brain in such a way that the brain won’t give a negative reaction to the noise or ringing ears or tinnitus, thus allowing auditory habituation. The therapy does this by having the person listen to a regular digitally created full audio spectrum while noise, MP3, or CD. The level of the ear noise must be the above the level of the sound. In that way, it makes the ear noise imperceptible, since the sound would cause the plasticity of the brain to increase. Therefore, it couldn’t make an emotional response, resulting in an auditory habituation. The patient undergoing the treatment must be cooperative in the procedure. He must help himself in finishing the course. There are things that the patient must be prepared of before submitting to the procedure. Different brain functions must be understood. Patient must have faith in the procedure, as well as patience. These two can contribute to the result of getting into Tinnitus Retraining Therapy since it would take at least 18 months for the entire course. If patient does not have the patience, it might wear him off in the middle of the treatment. And a positive outlook will keep the patient aspire that his tinnitus problem can be overcome. What is the Best Tinnitus Therapy? Tinnitus retraining therapy, also known as TRT is a tinnitus therapy that is designed to assist people that suffer from tinnitus. This has been an effective strategy that many tinnitus clinics incorporate as an important tinnitus therapy for helping with tinnitus. This approach utilizes one on one counselling to help the patient discover the meaning of their tinnitus, and how to better cope with the symptoms. The creation of this tinnitus therapy has resulted with the majority of patients experiencing improvements in their symptoms. 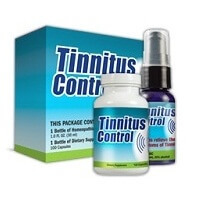 If you’re living with ringing in the ears and you long to live a normal life again without tinnitus, then you may want to look into this as there has been an 80% success rate. If you’re interested in finding a clinic near you, simply call your local ear, nose, and throat specialist (ENT) and they can refer you to a tinnitus clinic that practices this tinnitus therapy. A combination of counselling and tinnitus maskers is what this treatment uses to help distract you from the ringing noise. Both ENT’s and audiologists are involved in this process. To a person dealing with these symptoms, having specialists teaching coping strategies alone can provide great relief. Using maskers and going to therapy have been recommended treatments for some time, but only recently have they been combined together in this newer tinnitus therapy. Just having somebody to talk to about your feelings and what treatment options are best for you is what makes therapy so useful. Plus it feels good to talk to somebody who actually understands what you are going through. It is common for your therapist to recommend you seek out a tinnitus support group or find an online forum for you to participate in as it is an important process of coping with this debilitating condition. These are great places to exchange ideas with other people and share what has worked and what hasn’t worked. Part 2 of this tinnitus therapy are the use of “tinnitus maskers”. A tinnitus masker is similar to the way a hearing aid looks, but this device makes the ringing in your ears less noticeable by producing a soft noise that cancels out the tinnitus. While you are in therapy, your specialist will go over the details about how to get the most benefit from the masker. They may also advise you to begin listening to sounds like nature sounds, or white noise at bedtime to help you sleep as these can also distract you from the tinnitus. If you’re more comfortable with traditional pharmaceutical treatments, conventional tinnitus therapy might be your first choice. Although, they’re effective in reducing the symptoms of ringing in left ear within a short time, many of these forms of treatment come with side effects. Many patients report that ringing in left ear gets worse over time. This is because of the body’s way of reacting to a negative connection between the auditory, autonomic and limbic systems. The more conscious you are of the ringing sound, the louder it gets. Luckily, there are several therapies designed to end this perception of increasing sound. One of the most promising ones is a form of habituation therapy called tinnitus retraining therapy (TRT), which can reduce and eventually end your perception of the ringing sound by controlling the negative reaction to it. Conventional tinnitus therapy generally treats the symptoms and ringing in left ear directly without going into the issues of diet and other holistic topics. After the therapy has been approved by your hearing expert for your type of tinnitus, you just have to carry on by trial and error and see what helps you get some relief. As your doctor has probably told you, there isn’t a drug that has been developed specifically to cure ear tinnitus. However, a number of drugs help with controlling the symptoms of ringing sound in ear (neurosis, muscle spasms, insomnia, depression, etc.). So in theory you could leave the doctor’s room with a prescription for a cocktail of anti-anxiety drugs, antidepressants, anticonvulsants, antihistamines and anaesthetics (e.g. lidocaine). They can successfully quiet ringing in left ear for a limited time, but please note: some drugs can actually include tinnitus as a side effect. Therefore avoid using them long-term. One of the main causes of subjective tinnitus can be a build-up of ear wax. You can use over-the-counter wax softening drops such as Debrox and Murine or a few drops of warm olive oil to remove excess ear wax from the ears. Allow the oil to settle for about five minutes, holding the head to the side, then plug with a little cotton wool to absorb any excess oil. You may need to repeat this treatment daily for several weeks. Some people experience total or partial tinnitus relief while wearing hearing aids. Today’s computer-like hearing aids bring back in the ambient sounds that naturally cover the ringing sound in ear and provide extra acoustic stimulation to the brain. Since we’re discussing the conventional tinnitus therapy, you should be aware of a technique known as masking. This technique uses white noise / pleasant sounds to make the ringing less noticeable or transparent. This form of ear tinnitus therapy is commonly used while undergoing other forms of treatment. You can easily check whether a masking technique could help you. Many patients with tinnitus are unable to hear the ringing sound in ear while standing near running or falling water. Try performing a so-called “faucet test”: stand near the sink and turn the water faucet on fully. You can also perform this test while in the shower. If either of these provide some relief to you, then you would likely benefit from this form of conventional tinnitus therapy (more about this method here). An ear implant is a device inserted into the ear in a surgical procedure. Ear implants are particularly helpful to people who have suffered severe hearing loss and can’t use ordinary hearing aids because of problems with the outer ear and the ear canal. There are several commonly used implants, but Cochlear implants in particular may specifically help to reduce the intensity of tinnitus. How can they help? Because ringing in left ear is masked by the ambient sounds this device brings back in. Another reason is that the ringing sound is suppressed by the electrical stimulation sent through the auditory nerve by the implant. Sound therapy may help your brain to stop concentrating on the ringing sound in ear by introducing a pre-selected type of sound that neutralizes the effect of tinnitus. The idea of sending more noise to your brain when you already have enough may sound ridiculous, but it really works! Although, there are many types of devices and/or recordings out there, but the quality is much questionable (watch out for free recordings which are offered by various marketers to collect your email but in essence they are scams). One of the best rated in the market is Listening Foundation Program by Sound Therapy International, a comprehensive listening program to improve ear and brain health. If you prefer simple, portable solution, you may want to consider Tinnitus Sound Therapy CD, a well-rated real sound therapy recording. It does not require any additional equipment except your own personal stereo and headphones. Many sufferers reported significant relief and reduction of intensity of ringing in left ear together with rehabilitation of the ear. To view testimonials of using sound therapy for tinnitus treatment, click on tinnitus success stories, or visit the official web site of Sound Therapy International. If you’ve been diagnosed with hearing loss related to a form of damage on the stapes bone in your ear and consequent tinnitus, you may qualify for a stapedectomy – a surgical procedure of the middle ear which is carried out to improve hearing. Some people with ringing in left ear reported improvement of tinnitus in addition to improvement of general hearing. Another form of surgical treatment sounds like a pretty drastic step, involving cutting the eighth nerve in your auditory system. Make sure you’re seen by a doctor at a major teaching hospital if you want to discuss this option, as they see this condition regularly. There are ongoing clinic trials to examine the effectiveness of low-level laser therapy for treatment of ringing in left ear. According to one self-controlled clinical study, this treatment statistically brings the most relief to people fewer than 50. You also have to eliminate extra noise from your environment (quit noisy job, stop listening to loud music etc. ), otherwise the treatment is not so effective. For a practical Tinnitus Retraining Therapy (TRT) guide, together with a complete overview of all forms of therapy for ringing in left ear with their pros and cons, take a look at a clinically proven and scientifically-accurate tinnitus treatment program developed by R. Coleman. As TRT is really the heart of this tremendously successful program, it can provide help to people with many various types of tinnitus. In most cases, adopting lifestyle changes can help cure tinnitus. The most common forms of lifestyle changes are tinnitus masking, and using a hearing aid. Tinnitus maskers can be any type of sound or noise that is used to mask the internal sounds or ringing in the ears and are used in many tinnitus therapy programs. Some examples of tinnitus maskers are fans, radios, and relaxing music. Hearing aids are also used as therapy for tinnitus. Hearing aids work by amplifying the external sounds, which make the internal sounds less noticeable. Another effective tinnitus therapy is by taking the natural route. The two most popular ways to treat tinnitus naturally are by taking vitamins and herbs. The three main vitamins are zinc, magnesium, and niacin and all of them have worked for people looking to stop their tinnitus. Ginkgo biloba is on the only herb that is necessary for use as a tinnitus therapy. It has been used by the Chinese century after century and has been proven to help prevent tinnitus symptoms. Although lifestyle changes are recommended before attempting medication, sometimes the lifestyle changes just aren’t enough to get rid of tinnitus. If you need a little extra help, the most common forms of tinnitus therapy medication are anti-depressants, anti-histamines, and Xanax. All three have been proven to help the symptoms of tinnitus, but like any type of medication, there is a chance that very negative side effects could occur. For those who have extreme symptoms or a very severe form of tinnitus, medication may be the only option, but they should always proceed with caution. It appears wacky to some, but there are actually staunch supporters of using urine therapy to eliminate tinnitus in addition to a number of other health problems. So, if you are experiencing tinnitus and also have tried everything, is urine therapy something you should think about in to obtain respite from the annoying sounds of tinnitus? Although, it may sound gross to many people, urine therapy which is also known as urea therapy has been around for centuries mainly in the East. Its origin is considered to become from certain religious rites in India where it’s been practiced for thousands of years. Urine is what is left after the kidneys finish filtering impurities in the blood and it is made up of about 95% water, 2.5% urea that is a compound that’s formed in the decomposition of protein as well as a 2.5% combination of minerals, salt, hormones and enzymes. It isn’t merely a waste product to be gotten rid of according to those who practice urine therapy. The origins of the various noises related to tinnitus is most often these days unknown which is why it’s commonly regarded as the result of some issue in the body and isn’t considered an illness by itself but rather an indicator. While in not many cases this internal problem might be discovered and treated effectively, in most cases the issue in your body that’s giving rise towards the noises remains unknown. For this reason using urine therapy as a means to eliminate tinnitus is considered by some to hold the key due to the various properties of urine. Some of the minerals which are commonly found in urine include amino acids, glucose, vitamin B6, b12, urea, tryptophan, and many other vitamins, minerals and other healthful properties which are crucial for promoting general health and well-being. Many supporters of urea therapy think that fervently drinking your own urine can help cure a wide range of illnesses including cancer, diabetes, heart disease, glaucoma, fighting allergies, clearing up sinuses, etc, and taking advantage of it topically can help to stop dandruff, psoriasis, eczema along with other skin conditions while helping to restore hair and reducing wrinkles. Incidents where use urine for “urine pulling” which has similarities to the ancient Ayurvedic practice of oil pulling. By drinking small quantities of urine as urine therapists believe, it will help to maintain your body’s equilibrium and supply antibodies along with other minute particles which can fight sickness and disease including being able to get to the internal issue that is giving rise to tinnitus. As with all alternative practices, there aren’t many or no research studies supporting the various health claims. Though conventional medicine denies the different healing claims about urine therapy, it is not regarded as bad for drink your personal urine unless it’s infected with germs or consumed in large quantities. There is a specific process for implementing urine to get rid of tinnitus or other health problem also it first begins by looking into making sure that your private parts are cleaner and healthier to avoid the risk of infection. You will have to use a cup or container to gather the urine and also you must make sure that these are also clean. Ensure that the urine you utilize is apparent because coloured urine is acidic. Obtaining clear urine will need you to drink lots of water during the day to get the urine to run clear. Your diet can also be vital that you get the best urine so ensure that you eat plenty of fruits and vegetables and steer clear of many spices in your diet. Avoid collecting the first part of the urine stream which might contain germs flushed in the urethra as well as avoid the last area of the stream which might contain calcium. If you’re new to urine therapy, begin with half just one cup or 100ml of urine. If you are new, you may even be thinking about mixing equal parts urine and sterilized water before drinking. You may even consider taking a few small drops of urine and placing them underneath the tongue for maximum absorption in to the body. According to the National Institute of Health, there are approximately 22.7 million adult Americans who suffer from tinnitus symptoms. Tinnitus can occur in various ways, but it often strikes when a person experiences hearing loss of certain high-frequency sounds as a result of over exposure to loud noises. In other cases, aging causes tinnitus. When this loss of sound occurs, the brain sends out nerve signals that manifest as a constant “ringing in the ears”, which only the tinnitus sufferer can hear. People who have to live with tinnitus often find it disrupts their daily routines. Aside from being very annoying, tinnitus has been linked with memory loss, increased irritability, impaired motor skills, and it even interferes with sleep patterns. There have been treatments for tinnitus which utilize masking principles and “block” the ear-ringing causes. Others use biofeedback mechanisms, and still others involve psychiatric treatment and counselling for those who are coping with tinnitus. Fortunately, the development of tinnitus music therapy presents a hopeful future for tinnitus sufferers. The study on the system—conducted two years ago by two universities in Munich, Germany—made use of “altered” music which excluded the sound frequency that lacked in an individual with tinnitus. Upon measuring brain activity while the “altered” or “notched music” was administered, findings showed that the neurons adjacent to the ones causing ringing in the ears had become increasingly active, thus restoring balance to the brain’s auditory centres and curing tinnitus. The notched music treatment at the Tinnitus Music Lab involves the client in the choice of music. Patients choose 4 or 5 music albums that they like, and the music is specifically altered according to their unique frequency. Once treated, the music is turned over to the patient in kit form, which consists of an MP3 player and special headphones. Patients who avail of the notched music treatment by the Tinnitus Music Lab must be committed to listen to their treated music for the prescribed two hours a day, for a whole year.